1969-m.p. 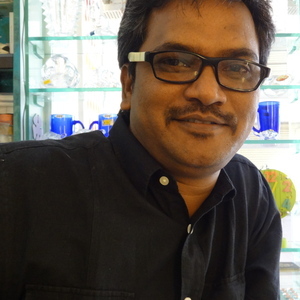 (INDIA), since 1997 lives & working in BHOPAL (M.P. )INDIAMy paintings are the glimpses of life on the canvas, out of the canvas. These are just a reflection of experiences of my life.They become just like a mirror to me through which I Iook at myself. The sensitivity in the behaviour with others synthesizes my feeling in the paintings. Through them I visualize the meaning of life. The life itself is a work of art through which unconsciously the painting appear. The different aspects of life provoke me to evolve them and I become like a medium for them, through which they appear in different forms in a series.